It is a tedious and tiring activity. It is beneficial but an important procedure that you would like to do it thoroughly and at regular intervals. The “it” here is the precarious restoration of an iOS device using an iCloud backup file. 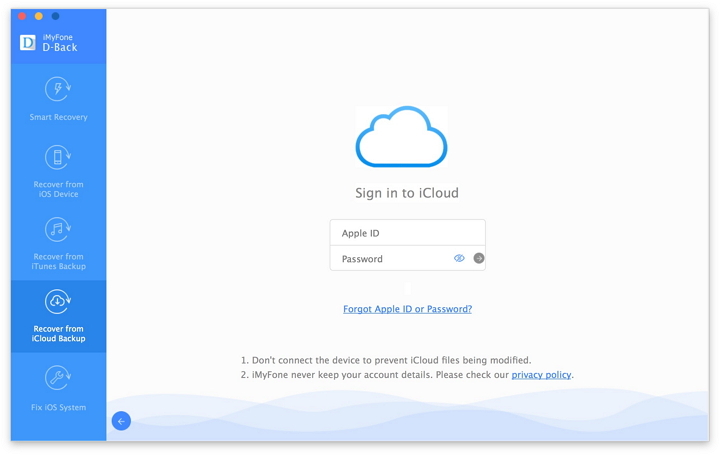 Building a backup of your device using iCloud is very easy. 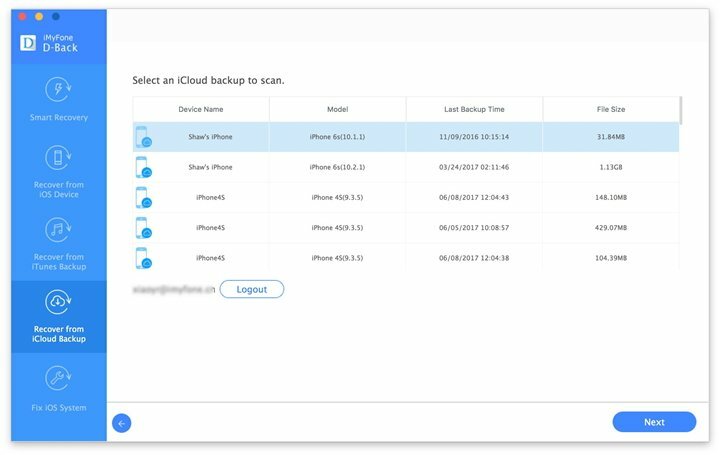 The file assures you that all the relevant data is safe on Apple's Cloud service, and you can use the same to restore a device or use the same to setup a new device, or you simly want to extract valuable data from iCloud backup. Nonetheless, there is a catch here! Not everything is present in the backup file. 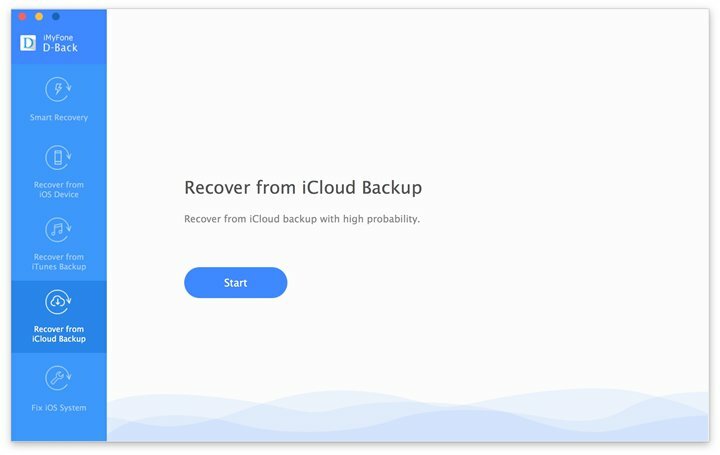 You may need to figure out what exactly gets restored from iCloud backup and what doesn't an iCloud backup include. Although these are non-essential things, iCloud further backs up purchased music, videos, TV shows, apps, books, device settings, app organization, SMS and MMS messages, visual voicemail, and ringtones. The above information could severely startle many iPhone or other iOS device users. It is common for any individual to think that a backup will include everything contained on a device. However, with the information provided by Apple, there is quite a lot missing in a backup file. Moreover, there is no possibility to look at the content of a backup. It is here that iMyfone D-Back iPhone data recovery Win or iPhone data recovery Mac comes handy. 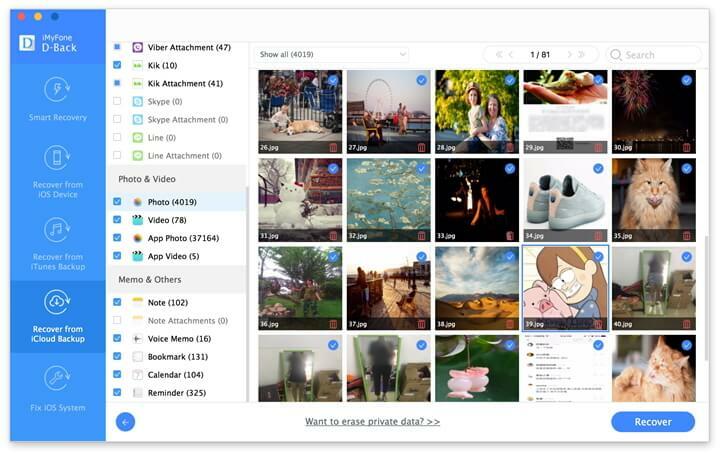 With the help of the application, users can easily download selective content from an iCloud backup file. Fixes bugs in the iOS system such as iPhone stuck in recovery mode, iPhone black screen of death, iPhone white screen of death. Step 1: Visit the iMyfone D-Back official site to download the trial version. The trial version will scan and show you the extractable files from iCloud. After finishing the installation, launch the program. From the main window of the software, select “Recover from iCloud Backup” option. Step 2: Press the Start button and pick the file formats that you wish to recover. Press the Next button once done. Step 3: In the next screen, enter your iCloud account details. Step 4: The application will now show all the backup files within the account. Choose a backup file from which you wish to extract information and press the Next button. 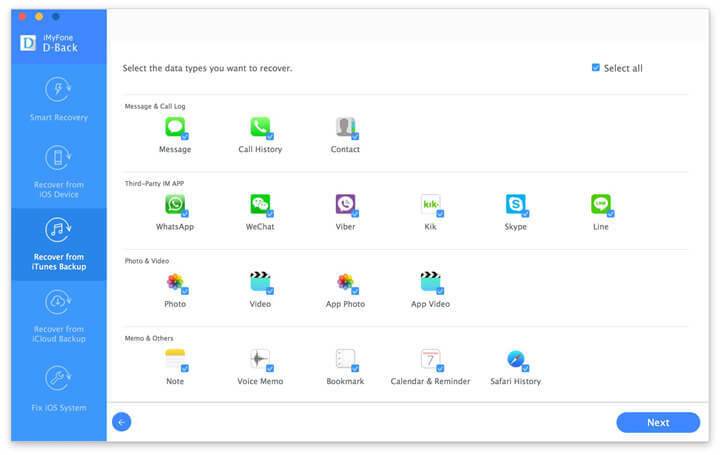 Step 5: After scanning the backup file, iMyfone D-Back iPhone data recovery Win or iPhone data recovery Mac will show all the extractable files in the preview screen. Mark all the necessary files and press the Recover button. Choose the destination and wait for the program to complete the extraction.